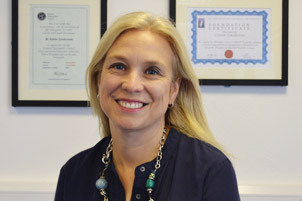 I am a fully qualified, experienced osteopath with a passion for my chosen profession. I have a Master’s Degree in Osteopathy from the British School of Osteopathy and have also completed post graduate training in Classical Osteopathy (with the Institute of Classical Osteopathy) and in Cranial Osteopathy (with the Sutherland College of Cranial Osteopathy). During my degree, I elected to undertake further study in visceral osteopathy, advanced spinal manipulation and the treatment of expectant mothers. These disciplines increase the scope of treatments that I can offer my clients and allow me to treat all ages from birth upwards. Since qualifying I have worked extensively in general practice and have successfully treated people with very diverse lifestyles AND , presenting with very different problems. These include; competitive horse-riders, construction workers, office based executives, teachers, busy working mums and young children. I have also successfully treated many older clients with chronic conditions such as widespread osteoarthritis and joint replacements. I relocated to the beautiful Chew Valley in 2014 with my wife Jane and our young son, Josef. We set up Avalon Osteopathic Clinic in August 2015, opening our doors to clients on the 1st of September. My dissertation was entitled A qualitative study into the osteopathic support of couples trying to conceive where I explored the experiences of osteopaths supporting couples with fertility issues. I am Jane, Stefan’s wife (and mum to Josef). I previously worked for the BBC where I enjoyed 17 successful years as a production manager, mainly specialising in live programmes such as Watchdog, Crimewatch, Chelsea Flower Show and The One Show. I am currently taking a career break, working alongside my husband (with occasional help from our son, Josef) as Avalon’s Office Manager, helping set up our new osteopathic practice. Our aim is to bring a variety of forms of osteopathy to the Chew Valley. Above all we aim to provide an outstanding standard of care and support to all of our patients. 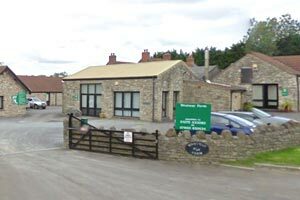 Our clinic, which is in a converted dairy at Westway Farm in Bishop Sutton, is warm, comfortable and welcoming and has excellent facilities. We want to create a safe and relaxing environment that will appeal to all of our clients, including families with small children and older clients, here in the Chew Valley. There is plenty of parking and excellent disabled access. We offer flexible opening hours to accommodate busy schedules including for people who commute to work. If you would like to discuss how osteopathic treatment can help you, please call us to arrange a free 15 minute consultation.